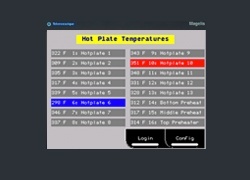 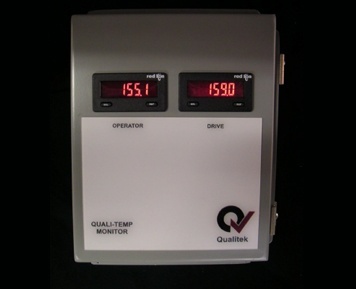 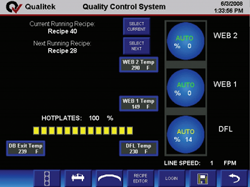 Qualitek’s Q-Alert (Quality Alert) is an easy to install system for monitoring, displaying and alarming individual temperatures of corrugator components such as the hot plates, corrugating and pressure rolls and preheaters. 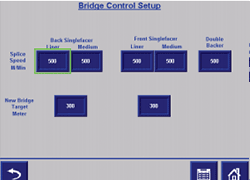 An optional E-Stop Display provides an instantaneous status of all corrugator equipment stop circuits. 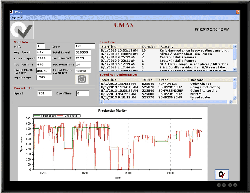 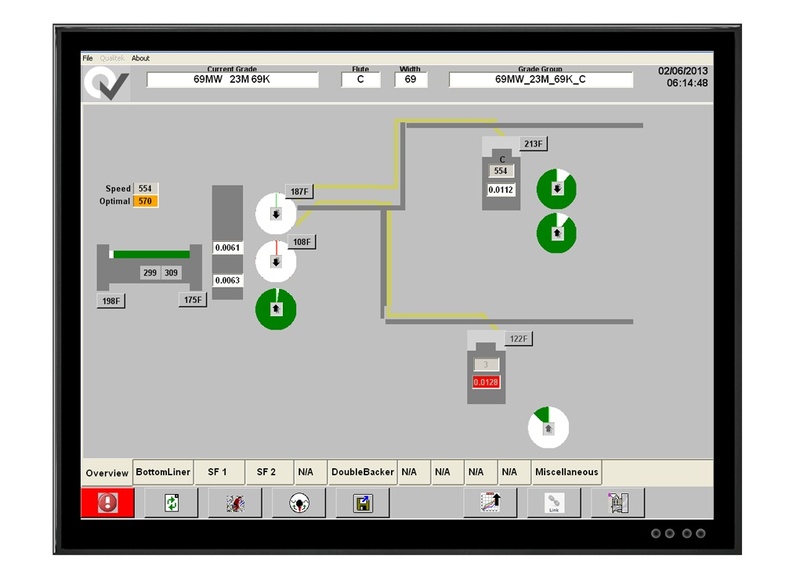 Umax provides a real-time view of corrugator performance. 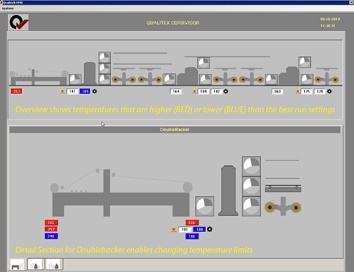 It is a tool for maximizing the Utilization or Overall Equipment Effectiveness (OEE) of the corrugator by maintaining reasons for downtime and speeds below goal. 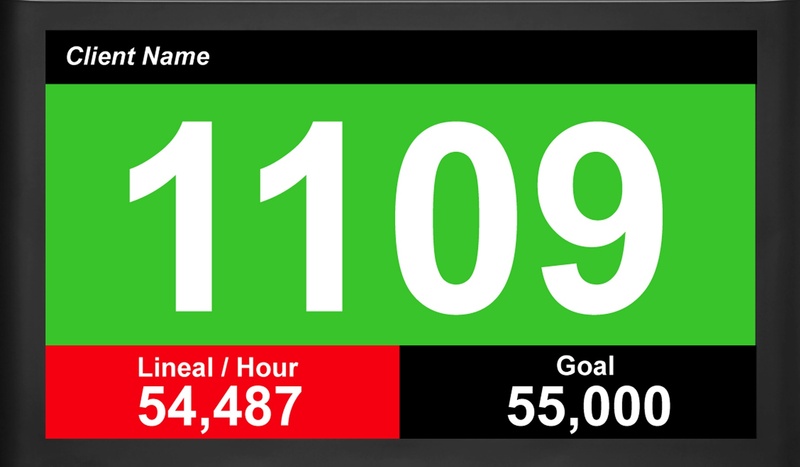 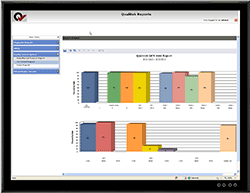 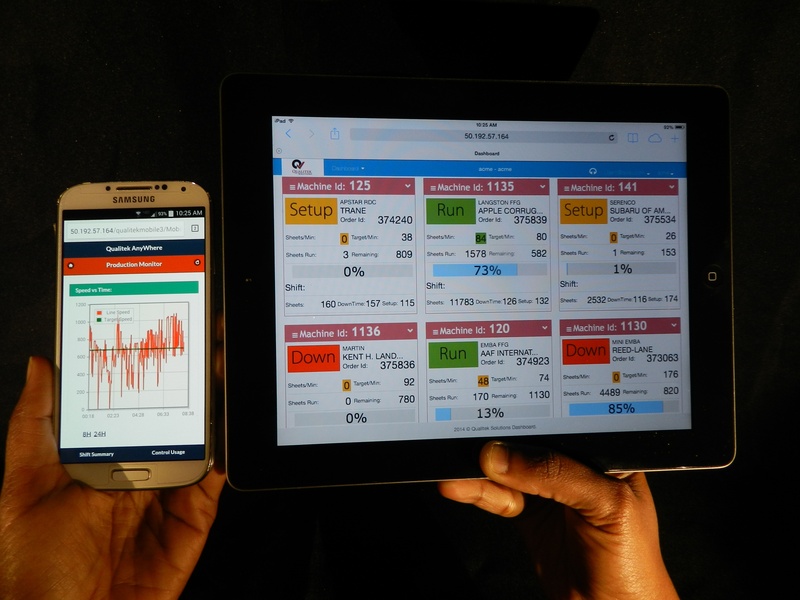 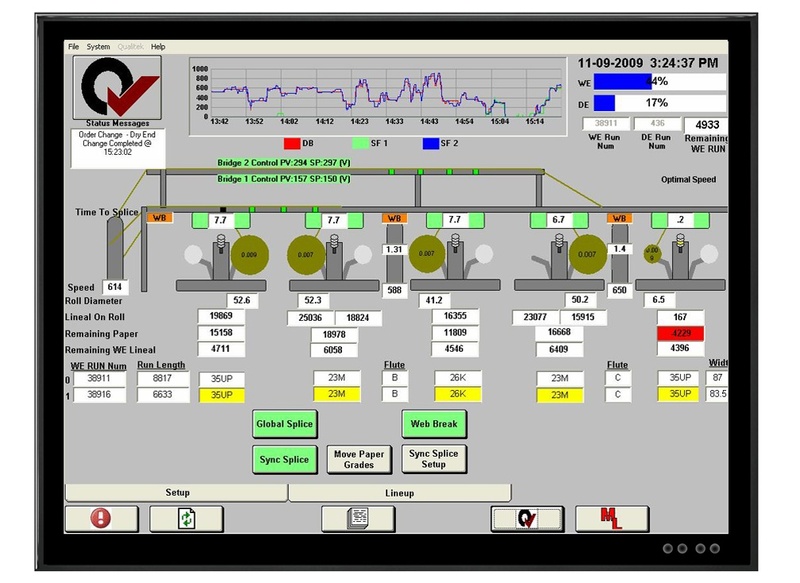 It displays real time metrics such as lineal produced, downtime, actual speed vs goal speed and generates production reports for the shift which provide management with the data for improving operations.